This post will be similar to our post on how to season cast iron, but from a slightly different starting point and focus. Here we will discuss the process by which the seasoning on a piece of cast iron cookware may be completely removed, followed by a guide on how to re-season the cookware with flaxseed oil. So you’ve decided to use cast iron, probably because of its amazing properties. Now it’s time to think about restoring it! First of all, why would you want to restore cast iron cookware? There are many possible reasons. Perhaps an ignorant house guest, in an effort to be helpful, washed your favorite, perfectly-seasoned pan with dish washing liquid and steel wool. Maybe you bought a vintage piece of cast iron online or from a shady back-alley antiques dealer and the seasoning is flaking off due to improper storage. Or maybe you foolishly cooked your grandmother’s famous salt and vinegar pie in the pan, not realizing the acid would eat away at the seasoning. Whatever the reason, let’s use a computer analogy and assume you’d like to completely reformat your cast iron’s hard drive and re-install a clean operating system. One popular method is to simply place the cookware in the oven and run it through the self-cleaning cycle. The self-cleaning feature of modern ovens heats the interior to 700-, 800-, or even 900-degrees Fahrenheit, turning any organic material (read: food and grease) into ash. Got some rusty cast iron tools? Here’s my guide to restoring them. 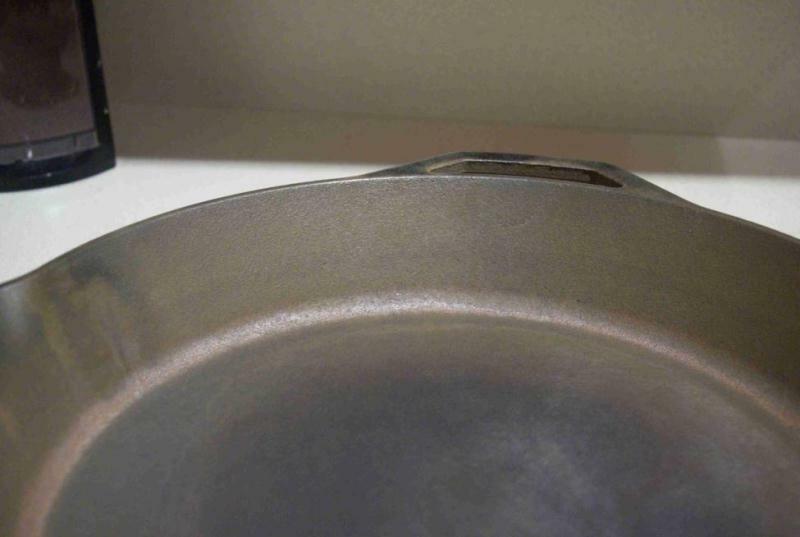 While we like to think of cast iron as indestructible, these high temperatures are capable of warping or even breaking cookware, and so this method is not recommended. Therefore, this post will focus on a second popular method, which involves the use of oven-cleaner. 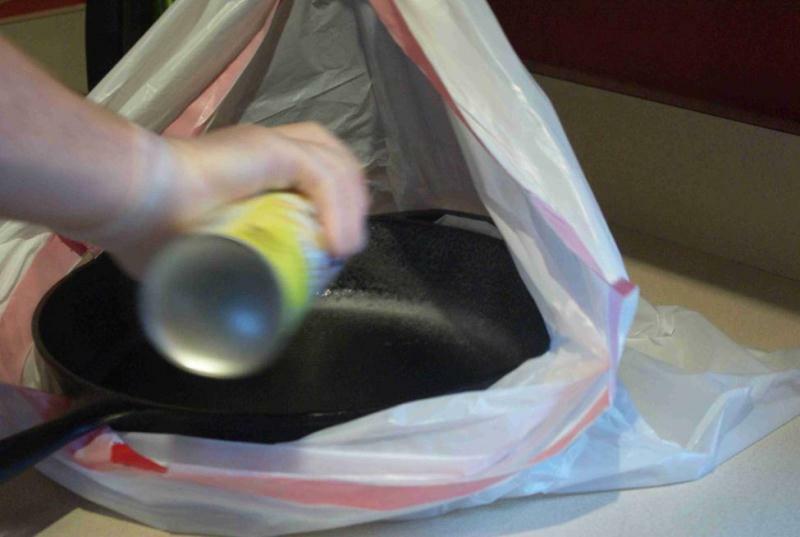 A note of warning: Oven cleaners such as Easy-Off are essentially aerosolized lye. Wear gloves! Go outside! The unspoken Step 7 is that you should go ahead and apply at least one coat of your new seasoning immediately. If only there were a place on the Internet to learn how that might be accomplished … Click here to see how to season cast iron. Please check out this super awesome video by TheCulinaryFanatic on YouTube. He also goes by Jeffrey Rogers and he knows his stuff. He actually explains this better and has a method of using the self cleaning oven cycle to strip the cast iron. Once you’ve finished the restorations, make sure you care for your cast iron properly to ensure your pan is always in tip top shape! 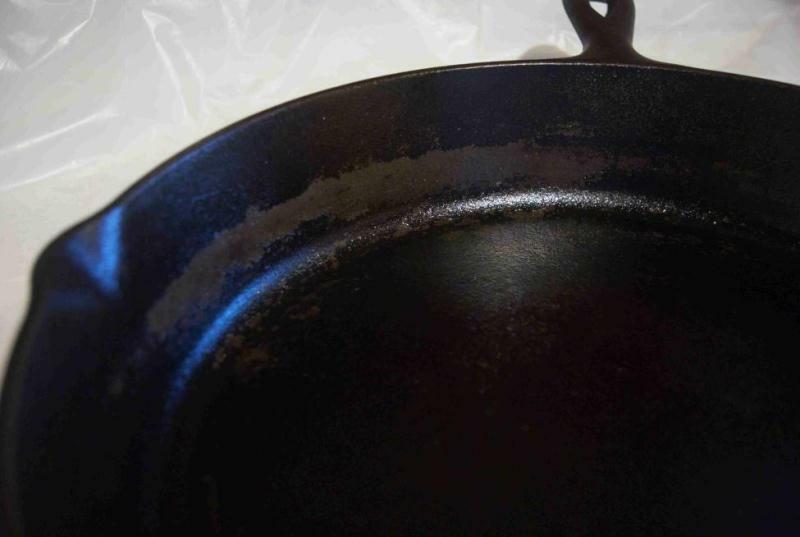 Follow this guide for even more advice to get rid of pesky rust on your cast iron cookware. Interested in more advice in the kitchen? You might like this post on the best electric kettles for hard water. After cleaning and reseasoning, what if you have electric stove instead of gas? I have a cast iron griddle that was my mothers but my question is if the back of the griddle (the part that touches the stove) shows a metal color instead of black, is it still salvageable?